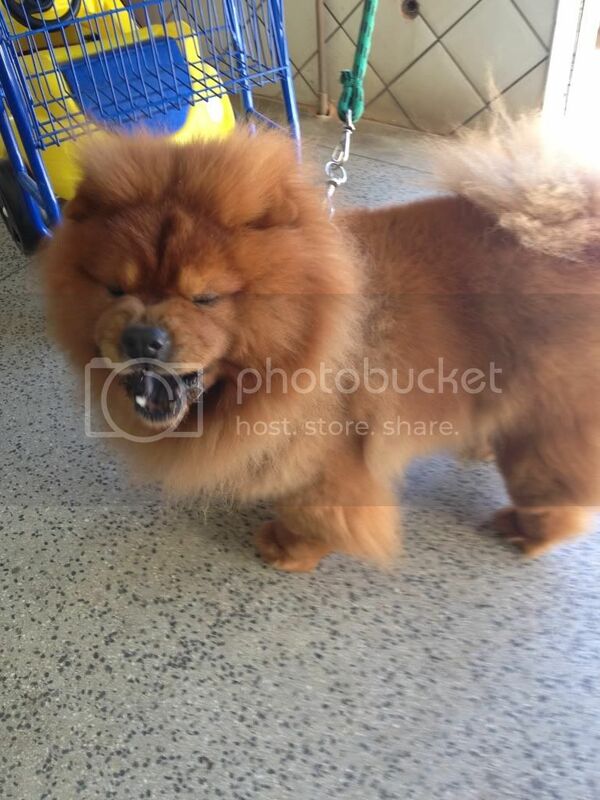 Re: The Chow Chow Owners Picture Gallery! Here is my gorgeous baby Hugo!! No idea why the photo is so large!! 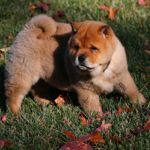 This is Lucy Liu our new chow baby girl, thinking she has some husky in her, I think she is going to keep up with Koda Bear and keep us on our toes!!! Hi everybody, gav gav to our beloved chowlies! I have a 7 y.o. 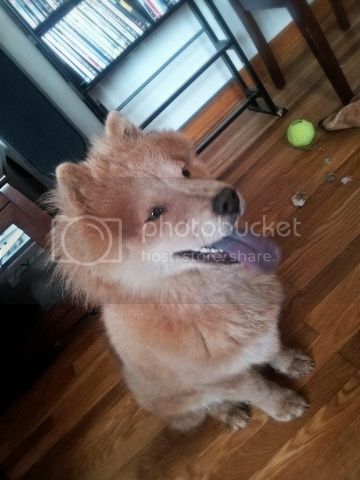 chow called MING (Photos attached). Living with him since he was 2 months old can only be described as a long days journey through alternate chow madness and total calm. Like most chows, he sleeps 22 out of 24. The Chinese say that chows sleep so deeply they never hear the rain but a simple footstep at the door by a stranger gets them totally awake in a split second!. 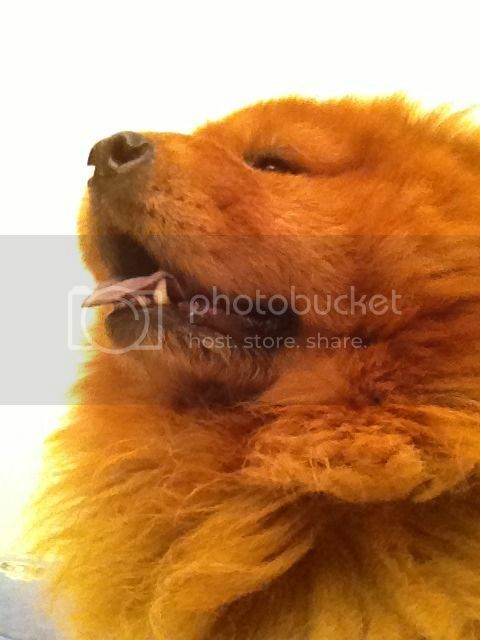 Also like most chows he is stubborn, very proud, independent, obedient and faithful as hell!! I have read many of the posts here and can identify 2 problems I have had/am having with Ming right now. I live in Greece and boy it gets really hot here, up to 40oC most of the summer. 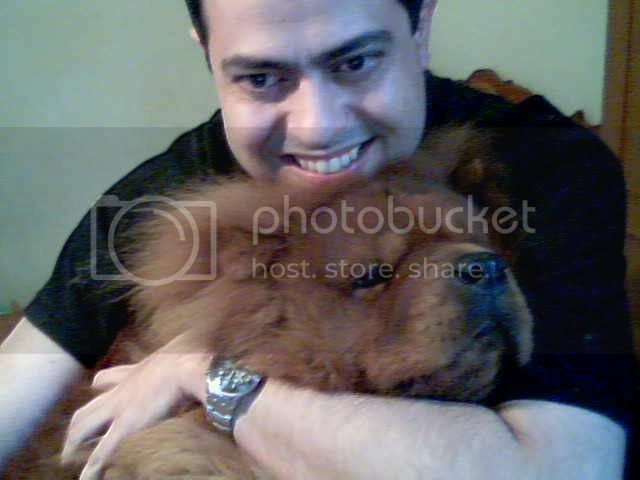 Not really a suitable climate for chows but the minute I saw him I just had to make him my loyal friend. The first problem started a few months ago when he decided that during his beloved walks, he will suddenly stop, stand staring at nothing in particular and just not budge! This has been met with some strange stares from passers by as I now stand or sit next to him waiting for his batteries to get "recharged" and continue our walk. Changing leads, using extension leads and just pulling until his head nearly comes off is no use, and no joke either! After all, as I am retired now there is no rush to "get somewhere" and with a little patience with his sudden stubborn refusal to "go" we will get there in the end. Tra la la. One other trick I use in these "stubborn crises" is to tie him to a railing, turn my back to him and just ignore him. That sometimes works. The second problem is his absolute screaming terror of storms which I have also read about in these posts. He doesn't mind just rain and will walk in it but he hears the thunder half an hour before it starts it seems, dives into the bathroom, into the shower and scratches the shower base for all he is worth trying to end up in Australia with any luck!! This completely freaks me out and I end up pulling him out on his lead by force and chaining him to a radiator or something solid with a blanket over his head until the storm passes while he shakes all over like mad, pants and "smells" from all the huffing and puffing, bites the furniture or demolishes wooden doors in his panic, poor thing. This situation is really tragic for him and for me. No good popping him a valium. It takes 3 shots of tranquiliser just to get him on the vet's table for a check up and he weighs 39 kilos!! During vet checks, he gets really aggressive and will bite even me. The vet's muzzles are too small so I deal with the biting by covering Ming's whole head in a huge bath towel which I take with me, clasped with a safety pin at the back. The vet was completely wowed by this and said he would "patent" it. LOL! 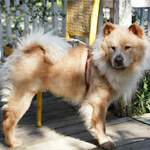 Loving a Chow means never having to say your'e sorry. 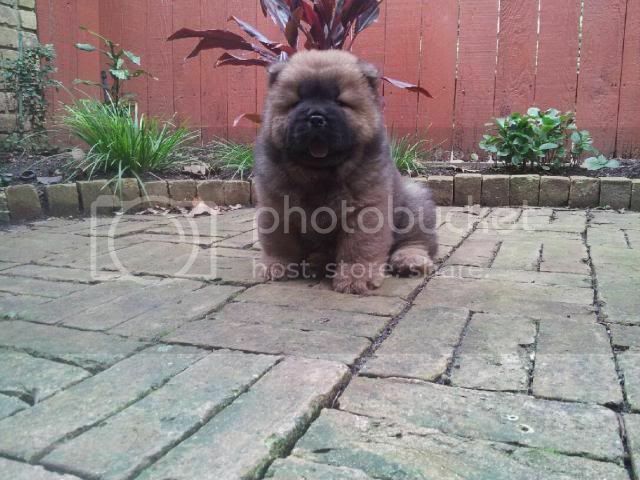 The name of my chow is "Chow", fits perfectly ! and she has the cutest ears in the world. She has ears like Lucy Liu!!! 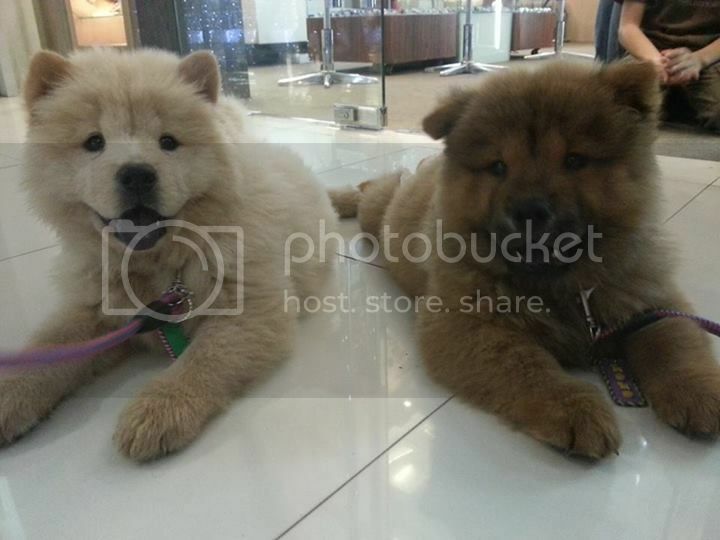 Love my 2 chows! Oscar at 6 months old. 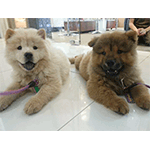 Cute Chows! Welcome to the forum. In order for the photo to show directly here (so people don't need to click a link), click on the "Img" tab (right above the area where you type the text) first before inserting the url. Thanks...koko bear the fawn color is male and chacha doll the cream color is female.they are 2 months and 2 weeks in this picture..i wish to share and maybe ask for some advise when i needed in this forum..thanks again.. 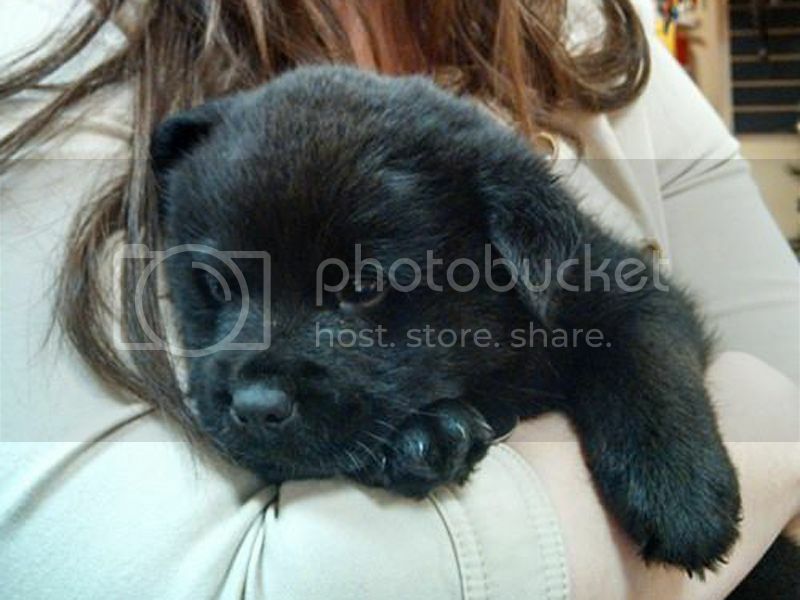 This is our newest member of the family, Little Bear. We've got one other dog, Spence, who is a Shiba Inu mix. MeiMei sleeping at foot of staircase. Here's out girl, MeiMei. Obviously decorating at Christmas time tuckered her out just as much as her human family. waiting for our flight home! A funny picture of Sukie sitting on the couch like a human. Romeo graduating from puppy class! Good Boy Romeo! He is such a cutie. 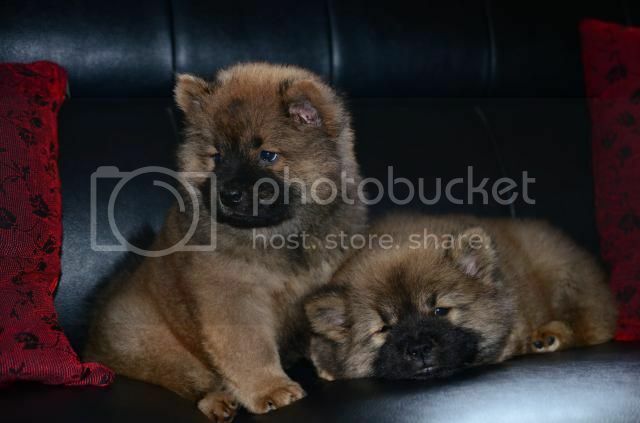 All of them wonderful chows. I wish I had one. 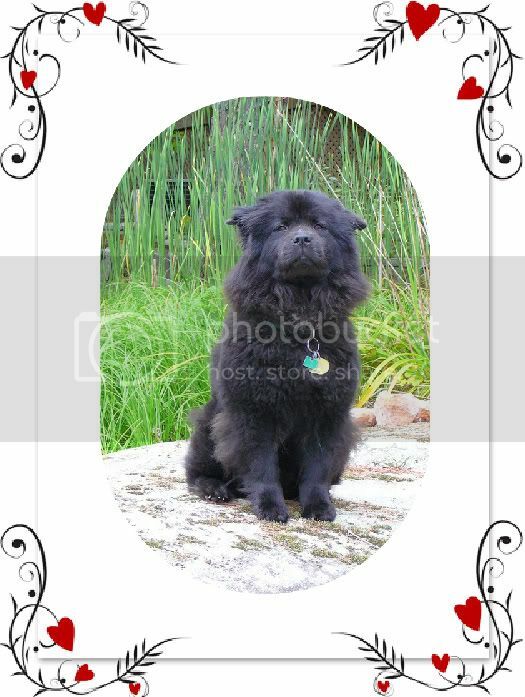 All Chow Chows are wonderful, but this one is extra special. She's a real girl, sniffing the flowers.